After being inundated with 'What can I use for . . . ' questions, I decided to start this blog in order to assist people in pointing them in the right direction. Exclusive Natural Skincare for Anti-Ageing, Acne, Beauty, ECZEMA, Nail-care, Scar-care, Wound-care and Pain Therapy. As the owners of Healing Oil Products we pride ourselves on keeping our clients informed about what is happening with their beloved Axhilirit and Rejuvinit products. Our loyal clients have followed us every step of the way through this transition between countries and it is just correct to add this leg of the adventure of why manufacturing is only commencing after a year had lapsed and 9 months after the expected date of launch of the new manufacturing facility in the Caribbean. If you have been researching shipping companies to entrust with transporting your most precious items, it will serve you well to read my story. 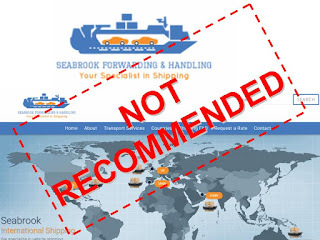 This is why I can never recommend Seabrook F and H (Forward and Handling) South Africa, or endorse the company as a whole or any of their branches. Let me tell you a tale of a small family running a small home industry, which placed their trust in a highly-recommended shipping company to assist us in moving our goods and livelihood to another country, but got royally screwed. After going through the motions of obtaining quotations from different companies, we finally settled on Seabrook F&H, partly because of their reputation, and partly because I love cars. Seabrook specializes in shipping exotic cars and boats all over the world, and boasts clients such as MasterCraft, Chris Craft, and Rolls Royce among others. I was introduced to the company in 2016 when travelling along the R44 between Gordon's Bay and Rooiels in the Western Cape, where the road had been blocked off during photo/video shoots during the launch of the new Rolls Royce Dawn, and while waiting for ridiculous periods, had inquired from the attending staff as to who had done the shipping of the vehicles. I did not mind the delay much as I enjoyed the spectacle of beautiful cars wafting by, driven by journalists that I envied. Our goods were delivered to the offices of Seabrook in Muizenberg in Cape Town on 19 January 2018 to be crated and shipped. We were assured that our goods, which included everything needed to start our new company and could not be replaced very easily, would arrive in Belize by the end of April 2018 at the latest if shipped by sea, and that fitted into our plans and budget, so we gave the go-ahead. We started a new chapter in our lives in Belize, laying the foundation of a new but familiar business while waiting for our goods to arrive, or so we thought. 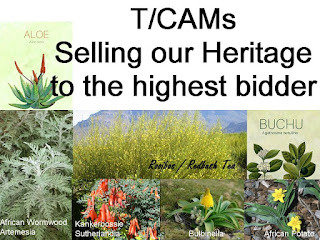 The next year was a mixture of expectant joy, which turned into helpless despair as the basics to start our natural products business did not arrive, then seemed to disappear altogether with no communication from Seabrook Cape Town. Initially the problems that arose were logical and related to international transport regulations. It was agreed that the goods be shipped via sea as soon as a container was available, still with April as the latest date of arrival. In the interim we registered our company in Belize. Patiently we waited. By March our goods had been crated and sealed, but not shipped, and concern started setting in big time. Every email and call from us was met with either silence or being given the run-around. We did receive an invoice for the crating, but none for the shipping, indicating that Seabrook had still done nothing to get our goods to Belize. On 4 May 2018 we paid half the crating cost, as we had become uncomfortable in investing more money into a company that had not yet shown that they deserved that kind of trust. Then everything went quiet. No email or call was answered. For four months we tried, going so far as getting my sister in SA to contact Seabrook, but no joy. Not to cause any alarm, but can you please advise which crate you are talking about? I am sorry to say that Henry and Kelle no longer work for Seabrook Forwarding and Handling. There are a few large crates of goods stored in the bonded section of our warehouse which we cannot identify (one we already have), can you please describe the contents? We had mention of a Gibson crate recently when we had yet another incident with their new company where we were supposed to collect a vehicle for one of our clients for shipping and they locked the doors in our face and hid in the warehouse. When the previous director got fired he took 3 of the staff with him and started a new company, he is running around telling everyone he took all of the staff with him and that we are out of business. All this whilst in the same business park as ours. They had planned this for months and did their whole move in two days. Luckily we caught on to their little project and moved in with 5 of the old staff and added an additional 3. Our operations and shipments have gone up way more under better management, but we have had a couple of files that were lying around here that they deliberately sabotaged, files were removed, emails deleted etc.. Mind this, we are all still in the same business park! Its madness. Mr. Gibson if you could please describe your contents and provide me with brief and quick instructions on how to proceed I will handle this personally on top. At this stage in time we had been supporting ourselves with funds meant to start up our new venture in Belize, and were cutting things thin to survive. Friends and family were instrumental in helping us during this period, but still, clients that we depended on and who were depending on our products, had started losing confidence in us, and that is very difficult to rectify. This communication did nothing to restore our confidence in Seabrook, and only served to heighten our fears of losing everything, including the few personal effects we had packed. On 13 September, after numerous emails and calls from both ourselves and my sister, Michael confirmed that our crate had been found in a bonded warehouse. He committed to provide us with a new quote to ship our goods, then the well-feared lack of communication again stepped in. By 24 October 2018, in total desperation, I again emailed Michael and CC’d the other email addresses used previously in which I threatened legal action. I was notified that Michael would call me soonest. This did not happen until 1 November or thereabouts. Finally, on 22 November 2018, we received an invoice for air freighting our goods to Belize. By this time our funds were basically non-existent, and our work permits only limit us to doing business as described in our business license related to our products. In order to get the funds for shipping, we were forced to sell a share in our company. The airfreight was paid on 13 December 2018, with Seabrook promising that our goods would arrive in Belize within 5-10 days after arriving at their forwarding company. After another flurry of inquiries that did not produce any results, we were notified on 27 December that our crate had been handed over to the airline, but their freight department was not yet operational after the holidays. On 7 January 2019 we received a waybill indicating that our goods had been shipped on 26 December via Virgin Airways to Heathrow, London. Some progress at last!!! But we could find no sign of where the crate had gone from there on any tracking system. What Now?! Seabrook seemed to have gotten injured in action, with little assistance from them, so we contacted Amerijet on 15 January, the company responsible for the Miami-Belize leg of the journey. Amerijet was fantastic. Within hours they replied to our email, stating that the crate had not been delivered to the Miami-Belize flight by Seabrook's forwarding agent, and would look into the matter. On 16 January 2019, Seabrook notified us that they had not yet received any info regarding when our goods would reach Belize, but would keep us updated. On 19 January 2019, exactly a year to the day that we delivered our goods to Seabrook in Wynberg, Cape Town, we received a notification from the Amerijet tracking system that our crate had arrived in Belize. If we had any funds left we would have celebrated!! It is now 3 weeks later, 11 February 2019, and still no word from Seabrook. Fantastic job of updating their clients! We have also established that we were not the only clients that received such treatment, with several reporting similar experiences on Hellopeter.com. People on 4x4 forums also were not complementary of the service received. Once things had calmed down after opening up a very battered plywood crate (thank God all was intact), we sat down to assess our situation. This does not include the stress and aggravation that we went through, nor the cost of confidence lost in our ability to service our clients. This also does not cover the treatments for my wife’s scarring products included in the shipment that had expired and had to be discarded. As this massive delay had been caused by unethical conduct and bad management at Seabrook, Cape Town, I decided to request that they cover some or all of the cost of shipping our goods, as it was malfeasance of their staff, and apathy from their management that put us in this position. Seabrook politely declined, stating that they are not in the habit of shipping goods for free. I would guess their corporate clients do not receive the same treatment. "I decided to request that they cover some or all of the cost of shipping our goods, Seabrook politely declined." As I believe that companies globally should start taking responsibility for their actions, it has become part of my mission in life to become the instrument of change for these companies. In order to assist Seabrook in this, I am sharing my story with the world in general, and in specific with the companies they so proudly flaunt as clients on their website. I am in the process of contacting every complainant in order to compile a fact sheet on Seabrook, and to share this write-up with all. The ultimate plan is to set up a wider database of companies, where each complaint reported to it must be accompanied by evidentiary proof (emails, call logs, documents and screenshots) as I have collected with Seabrook. I do not want ethical companies falsely accused, nor do I want those trampling on the lives of their clients escaping Scott-free. Following the judicial route is expensive, time-consuming and biased towards those that can afford the best lawyers. The court of public opinion is much more effective and has shown to deliver better response from companies that provide shoddy service and products. "The court of public opinion is much more effective and has shown to deliver better response from companies that provide shoddy service and products." It is time that the client/consumer realizes that they hold the power, not the companies they deal with. I reserve the right to add to this communication any response from Seabrook as I deem fit and necessary. #RejuvinitBeauty and #Axhilirit products is now under management of Facets (Pvt) Limited in the Caribbean Nations. Please visit www.rejuvinit.com to order. 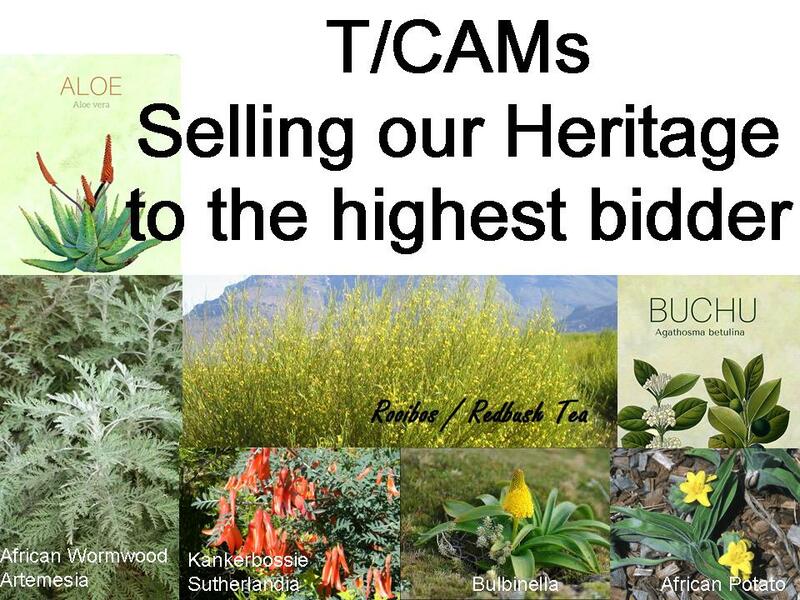 Unfortunately, our products are no longer available due to changes in laws relating to natural products. As from February 2018, we could no longer continue manufacturing in South Africa as the call-up timeline culminating end of 2019 has started affecting us. As a result we are closed. Until public pressure forces the SA government and Medical Control Council (MCC now SAHPRA) to come to their senses, we will not be able to supply any clients with any products. 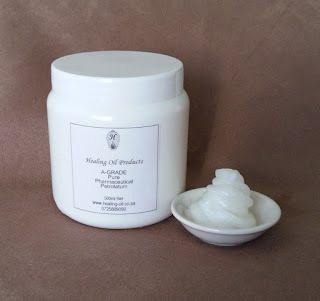 Soft, pure, white paraffin jelly (also known as white vaseline) is an ideal skin emollient, keeping moisture in while capturing and slow releasing any plant oils mixed into it. No preservatives need adding. Shelf life is indefinite depending on oils added. Because some beeswax had been contaminated with fungus, and sterilized beeswax loses its goodness, we use this base in our ointments for wound healing and eczema. Ratio for mixing your own skin ointments or lip balms is usually 5ml base to 6 drops of essential oil/plant oil. Add more oils for a stronger product. All oils are suitable to add to this base. Heard the stories about Monsanto, Bayer and the new seed laws aiming at putting Big Corporations completely in control of food. This will mean, no more small scale vegetable farming in your back yard, selling or exchanging seeds with your neighbour and heavy fines and jail time if you should dare feed yourself and your family freely from your own land. Add your name, share and tell the world about it. This is the future we are looking at, despite the fact that Western drugs are causally linked to 125 thousand deaths and 2,2 million hospitalizations per year in the USA alone, yet Complimentary and Alternative Medicine products are legislated out of existence, but are good enough to form the basis of 53% (and growing as pharma run out of options) of all synthetic patent medicine made by companies that boast a criminal and civil penalty record second to none. Partial documentation of products no longer available for domestic retail purchase in Canada since the 2004 implementation of Health Canada’s Natural Health Products Regulations. 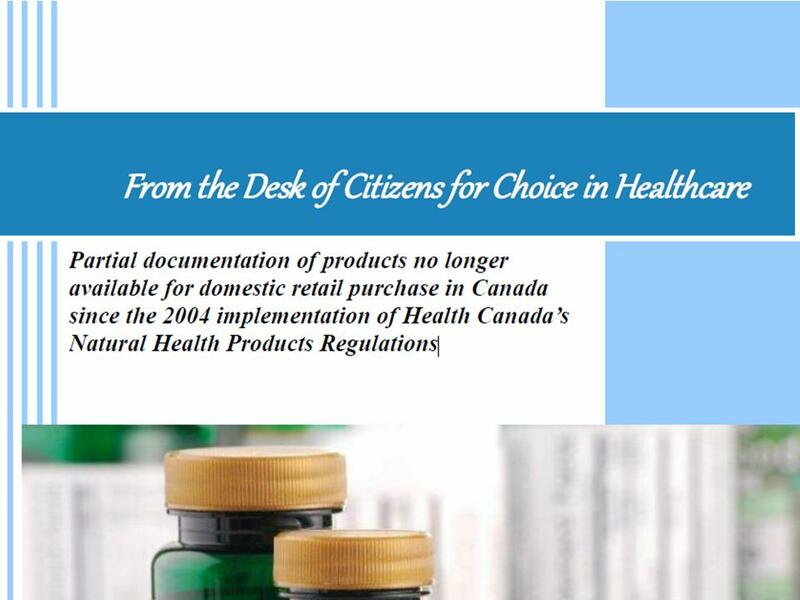 "Not only did these Regulations classify natural products as Drugs without providing the unique category, they were SUPPOSED TO PROTECT Canadians’ access to NHP’s." By December of this year, every product that falls under the definition of this corrupt Amendment and that has not applied for registration, may NOT be sold in South Africa, period. Not in shops, via private sale or on the internet. I assume that this cancels the call-up period that was supposed to end in 2019. This effectively takes away your right to self determination of your health and cosmetic choices. It also means that by December this year, tens of thousands of people will lose their jobs and businesses as they cannot afford the utterly ridiculous costs associated with registration with an institution whose staff circulates the following article to pharmacists in the country, encouraging them participate as in Australia to set up a whistle blower system in order to report on each other if they should dare sell an unregistered CAMs product: "WHY DO PHARMACIES SELL CMS?" https://ajp.com.au/columns/opinion/pharmacies-sell-cms/. You will now be totally at the mercy of pharmaceutical companies like Aspen and their ever willing, open handed prostitutes. But then again, that seems to have been your default, do-nothing choice. Please take note of the little sentence stating "Powers vested in SAHPRA include those to register products as one or more of a medicine, medical device, COMPLEMENTARY MEDICINE, FOODSTUFF, COSMETIC or in vitro diagnostic medical device. To this end, amendments have been effected to section 14 of the Medicines Act, WHICH REQUIRE THAT ONLY REGISTERED PRODUCTS ARE ALLOWED TO BE SOLD in South Africa. 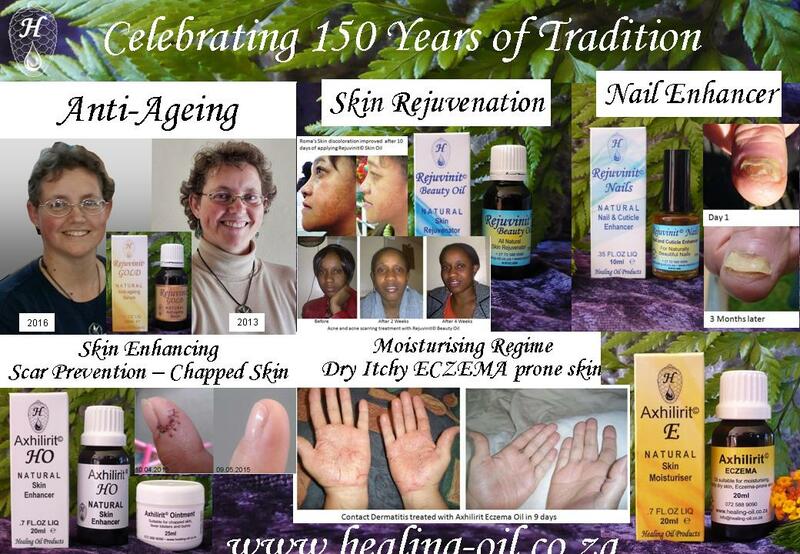 Copyright©2013 RGibson Healing Oil Products. All rights reserved. Simple theme. Powered by Blogger.